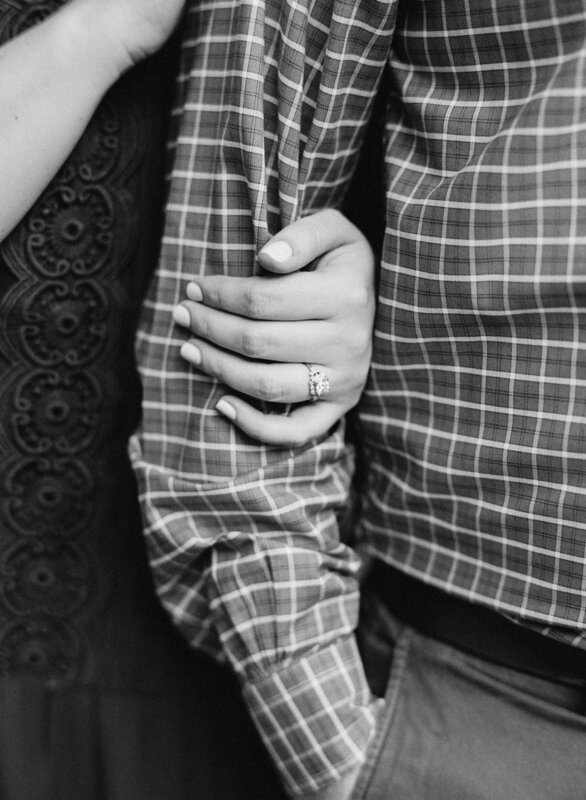 We cannot wait for Meg and Will's upcoming May wedding! 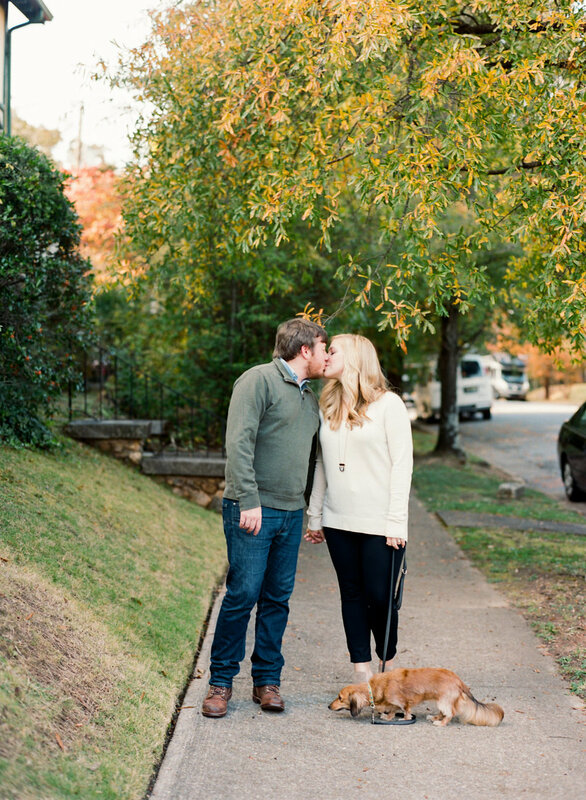 They had Sweet Julep Photography take their engagement photos around Forrest Park, Rojo, and Shoppe with their precious dog Raisin. How cute are they?! Will proposed to Meg in July right before they headed home from a trip to 30A. Little did Meg know the ring box had been in their beach bag the whole day. As the sun was setting they stopped on a scenic bridge and Will popped the question! Meg's ring is an estate Art Deco ring from Levy's and is so beautiful! We are so excited to help plan their special day!